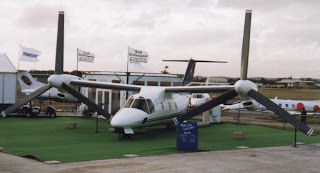 There's two meetings in September on the proposal to create a new heliport on the waterfront for helicopters and tiltrotor planes (like the one pictured here). One on Sept 17 and one on Sept 24, both at 6:30 at the Condon School. This is an important issue and worth your attention. Southie already gets more than its fair share of noise/pollution due to city infrastructure. In addition, this is particularly relevant to Fort Point as the channel itself is currently a flight path for helicopters. Please come to one of the meetings or send your thoughts to the BRA via Valerie Gingrich (Valerie.Gingrich.BRA@cityofboston.gov). Description: A community meeting will be held to discuss a proposed public-use heliport in the South Boston Marine Industrial Park. Air Pegasus has been tentatively designated as the developer and operator on the South Boston Waterfront subject to public review and permitting. Representatives from Air Pegasus and the BRA will be present to explain the proposal, answer questions and solicit input.